Lets learn advanced method of tricking your friend. It makes your friend panic believing his computer is attacked by virus or hacked !! Step 1 : Open Notepad and copy the below given code in it. Step 2 : You Can Change the text inside quotes in 5th line. Step 3 : Save the file as filename.vbs. You can use any name but it should have .vbs extension. Make sure that the “All Files” option is selected in the “Save as type” is drop-down list. 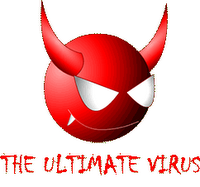 SOME ANTI-VIRUS SOFTWARES DETECT THIS AS VIRUS BUT DO NOT WORRY… IT IS COMPLETELY FAKE & HARMLESS!! !